Space studs on 24" centers instead of 16" centers. Less wood, more insulation. The image above shows the benefits pretty clearly. 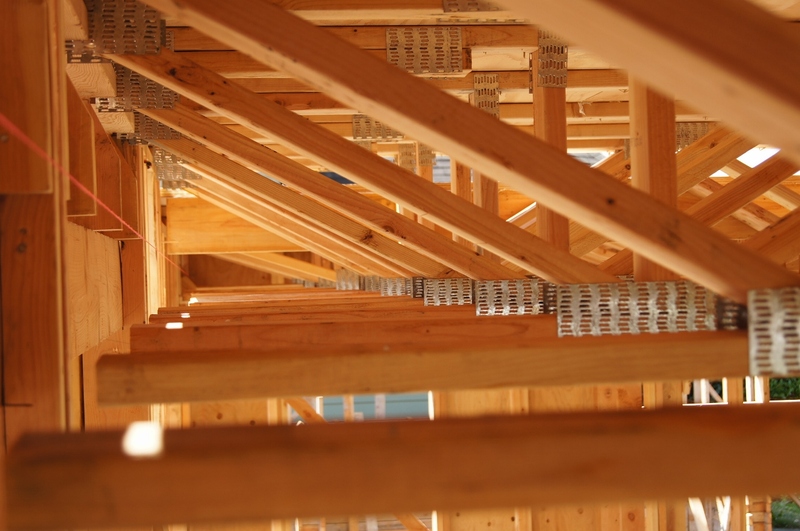 Align your framing vertically: floor joists, wall studs, and roof framing bear directly above each other. This means the structural forces have a direct path, and you can eliminate double top plates, reduce header sizes, etc. See image above. Revised window headers: Use insulated headers, and eliminate the jack studs by using header clips. Also illustrated in image above. Corner details that allow for more insulation: Corners used to be full of wood - not necessarily for structure, but to provide attachment surfaces. New techniques eliminate a lot of lumber. 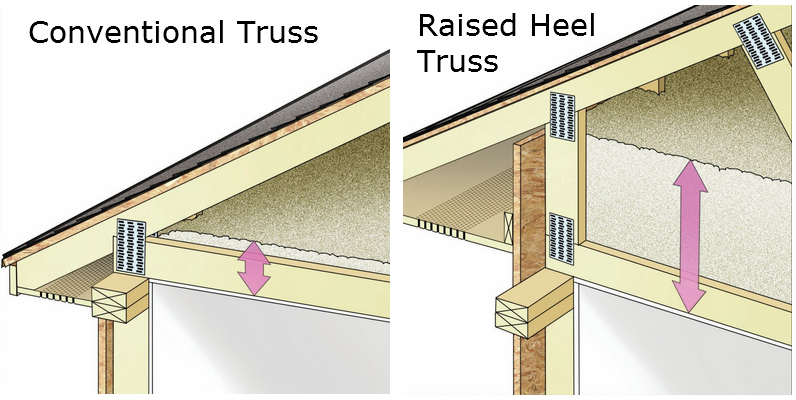 Raised Heel Trusses: aka "energy heel" trusses. Instead of pinching down the insulation where the roof meets the walls, these trusses (or also hand-built roof framing) provides increased depth for insulation above the perimeter walls. None of this is all that hard to do, really, but it does take a little planning and familiarity with the concepts. Material costs on a job can be reduced by up to 30%.